Marriage doesn’t just mean merging your lives; it also means merging your finances. While this isn’t as romantic as planning your wedding and honeymoon, it’s an important step towards your future together. 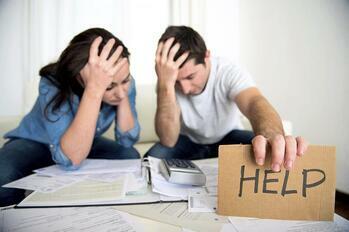 Money problems can put a massive strain on any marriage, no matter the length of the union. By following these steps, you can be better prepared for potential financial roadblocks in your future. For many people, money and finance are taboo when it comes to relationships. However, when you decide to spend the rest of your life with someone, you need to sit down and have an open and honest conversation about your finances before you get married. If one person has student loans and the other credit card debt, you need to come up with a plan (together) to pay off that debt. Once you’re married, keep talking about your finances and set aside time each month to go over anything money related. As a couple, decide what is most important to you and start planning your finances around achieving those goals. For example, if you are wanting to purchase a home in the near future, start saving up for a down payment as soon as possible. It’s important to make these goals together so you don’t end up living two different lifestyles under one roof as you both aim for different objectives. Marriage brings on new responsibilities, many of which are financially centric, meaning you may have to make some changes from your previous money spending habits. However, this doesn’t mean you should have to give up the hobbies you’ve enjoyed doing prior to marriage. Create a budget by priority, allowing each person to keep doing some of the activities or hobbies that are most important to them, if financially sound, while cutting out the less significant items. The average cost of raising a child from the time they are born until they are 18 averages around $245,340. This means you will be spending about $13,630 per child per year. Talk to your spouse early about how many children the other wants to have. Your income and debts may dictate how many limbs you are able to add to your family tree and this is a fact you both need to be aware of before you start having kids. One important conversation you need to have with your significant other is discussing what will occur if something happens to either of you. This includes wills and trusts, life and health insurance, and power of attorney privileges. All of this information needs to be updated once you are married in order to protect both of you. Then, once you begin expanding your family or situations change, continue to keep this information updated and accurate.